The benefits of Turmeric MD are no longer a secret. We discovered so many wonderful uses for this product in our research; we had to share in our review below. Turmeric MD is clinically shown to aid symptoms associated with joint pain, provides anti-inflammatory relief, soothes headaches, as well as boosts overall immune system function. Consumers have also turned to Turmeric MD to manage symptoms of depression after learning of the formula’s active ingredients and the possible relief associated with supplements containing turmeric. The Bioperine contained in Turmeric MD engages the body’s ability to absorb various nutrients. Turmeric, the formulas most potent ingredient, is a herbal supplement with a plant origin. The ingredient has many uses after being boiled and is linked to over 10 health benefits including anti-inflammatory relief, joint circulation, cell repair, and increased immune system function. Adults are advised to take one capsule two times per day. To receive the formula’s maximum benefit, take one capsule in the morning and another capsule in the afternoon prior to meals. Swallow one capsule along with a glass of water 30 minutes before a meal. There are no known side effects associated with this particular product, however, some consumers have experienced upset stomach, diarrhea, or nausea when using products containing turmeric in general. It is important to take Turmeric MD in its recommended dosage. Nursing or pregnant mothers, those with existing medical conditions, and children under the age of 18 should consult a healthcare professional prior to use. A single bottle of Turmeric MD is priced at $49.95. The purchase of a single bottle provides a 30- day supply of the supplement. There are discounts associated with the purchase of multiple bottles of Turmeric MD. For $69.90, customers can purchase two bottles of this product, reducing the price of each bottle to $34.95. You can also purchase four bottles for a total cost of $111.80. There is a package for a total cost of $139.80 where you are paying for three bottles of Turmeric MD and receiving three bottles for free. Purchases of Turmeric MD are backed by the manufacturer’s 60-day money back guarantee. Customers may return any portion of Turmeric MD within 60 days of the original purchase date for any reason. 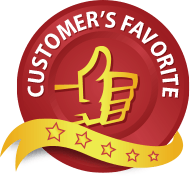 This 100% money back guarantee applies to both used and unused portions of the supplement. Turmeric MD claims to enhance a number of body functions. The ingredients are formulated to provide consumers with a safe and potent product that provides relief. 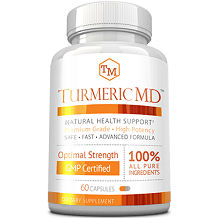 The manufacturers of this powerful product worked to minimize the side effects associated with turmeric-based supplements, and they have provided consumers with a 100% money-back guarantee, making this one of the top products on the market today. This, and the fact that the ingredients are tested and the manufacturer is cGMP certified, makes this a product worth trying.